There are no messages on TheFallenUmbreon's profile yet. If you're too lazy to read, just skip this (well, duh). I am a 13 year-old guy who enjoys Pokemon like everyone else! I am half brazillian and half japanese. Don't judge me by my age, I am no immature child (only when I get too energetic XD). I am quite, shy and serious in real life. However, in the internet, I feel free and curious to meet new people! I was born in Japan and do have a little brother, who is very annoying. Every few years or so, I move to a different place, which has been giving many difficulties in friendship. 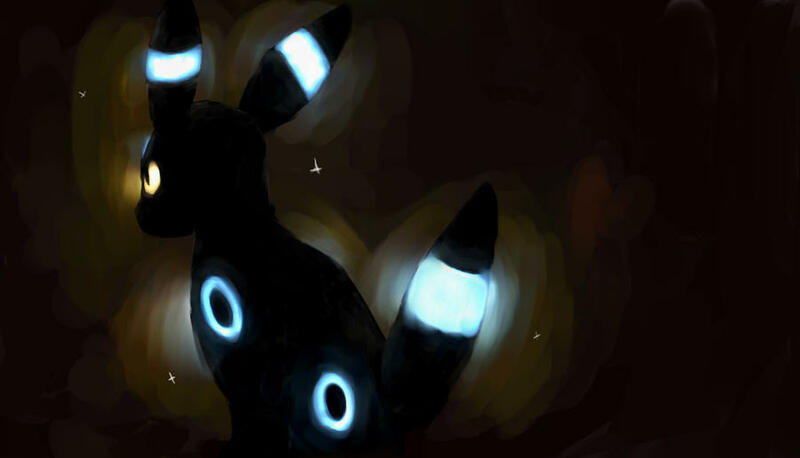 My favorite Pokemon is Umbreon, which is kinda obvious and my favourite colors are Dark Blue, Yellow, and Black. I prefer the night better than day, just cant stand the sun. I will usually be online using my iPod. Well, that's basically it. Oh, and one more thing: I will be accepting friend requests so don't bother clicking that befriend button!